Park in our front parking lot, then come on in to our office and meet our friendly sales staff. Let them know what service your vehicle needs, and they'll give you a written estimate for your repair or service that includes all costs for parts and labor. If you don't have us do the work on your vehicle that day, we will happily make an appointment for you that fits your schedule. We will then perform the service or repair with the utmost care and attention. While we're working on a repair, sometimes we find other problems with a vehicle that need attention. If that happens with your car, we will contact you and let you know what it will cost to do this additional work, and we will only perform this or any additional repair or service with your authorization. We love what we do, and what we do is strive to meet and surpass the expectations of our customers. So don't put-off your vehicle's repair for one more day! Come to our shop and let us perform your next routine maintenance, and we'll get you started on a service schedule that will help keep you off the side of the road. Our technicians will care for your car like it was their own, and we want your car to last as long as you need it to. When new vehicles aren’t properly serviced, they end up requiring more repairs later; all those missed maintenance appointments can turn into a vehicle breakdown. Fortunately, at The Dyno Shop, it doesn’t matter what your vehicle’s problems are, we want you to bring them to us. We have the most advanced equipment and the most advanced training. We've been performing auto repair at our Santee location for forty-five years; you can trust that we’ve seen your specific problem before, and we’ve fixed it. Drivers in San Diego, El Cajon, Santee, Poway, Ramona, Escondido, la Jolla, Encinitas, Oceanside, and every other city across San Diego County don’t need to search for a mechanic who can handle their vehicle’s problem. Just come to the mechanics that can handle anything and everything you throw at them. We pride ourselves on our skills under the hood, but we’re even more proud of our superior customer service. This is why we believe our customers stay loyal: not only do we fix their vehicle problems, but we make them feel appreciated and understood throughout the process. 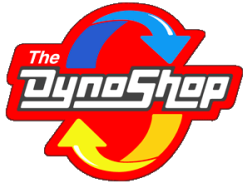 ​The Dyno Shop in Santee, California, is a family owned and operated business. We've been performing complete auto repairs and high-quality automotive tune-ups for more than four decades! We have kept all your vehicles in top-running condition, from your daily transportation car to your favorite weekend RV — not to mention those all-important work trucks. Most people know of The Dyno Shop's ability to dyno-tune an engine to deliver the maximum horsepower and highest fuel economy. 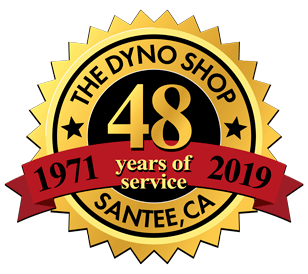 There is one thing that many people don't know: The Dyno Shop has also been performing a wide range of high-quality mechanical service and repairs to those same vehicles for the last 40 years. Bring in your vehicle. It could be the next car up on our lift! At The Dyno Shop, we try our best to retain the old values that made a business succeed in the past: we pride ourselves on our personal service, our high level of craftsmanship and our commitment to quality. We have coupled these things with the finest and most modern automotive service equipment available today, and are committed to a continued involvement with training and professional education in all facets of our field. We are proud to have our technicians certified with the Automotive Service Excellence in many fields of auto and truck repairs. We are conveniently located in Santee, California; close to Interstate 8, Highway 67, and now right off Highway 52. Our business hours are Monday through Friday 7:00am – 5:00pm and Saturdays by appointment only. Stop by for a visit.